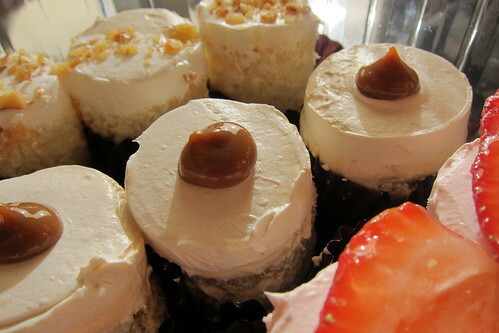 The bakery named after the butterfly is about take flight -- all the way from Huntington Park to Santa Monica. As soon as La Monarca receives final approval from the city and passes the last health department inspection -- a week or two, maybe three -- the popular Mexican bakery will open its first outpost west of downtown. 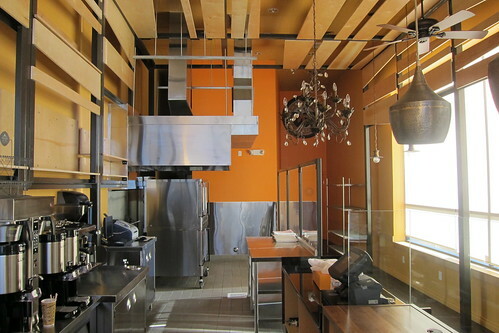 The paneling is up, the walls have been painted, the bakery cases are just waiting to be filled with conchas, bunuelos and dulce de leche croissants. Owners Ricardo Cervantes and Alfredo Livas, natives of Monterrey, Mexico who met while attending business school at Stanford University, opened the first La Monarca in 2006 in Huntington Park. "People told us we were crazy," Cervantes says. "If you would map a circle [around the Huntington Park location], we had 11 competitors in a three-block radius. For us, it was important that we first had a presence in the main Hispanic areas of town." They opened their second store in March of 2009 in East LA (Commerce, technically). Everything is baked fresh daily without lard and from recipes developed and still overseen by executive chef Alain Bour, a French native who lived in Mexico for 35 years. 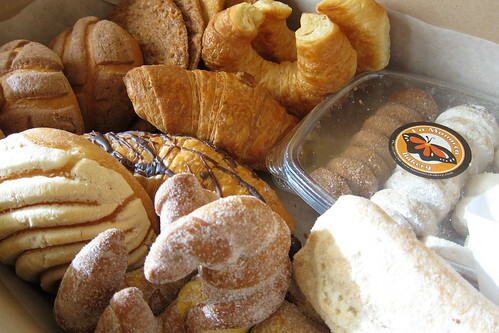 In addition to bolillos, loaves of French bread, flans, tres leches, Mexican wedding cookies rolled in powdered sugar, cinnamon-tinged polvorones and hojarascas, flaky, buttery orejas and dozens of other sweets, La Monarca will have organic coffee from Oaxaca. 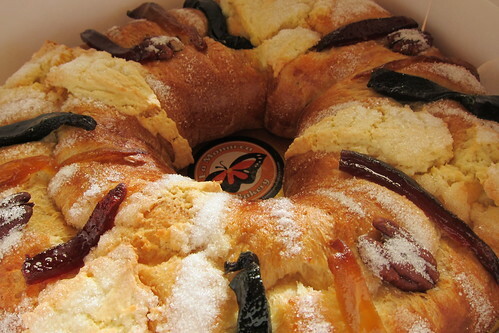 Cervantes is hoping La Monarca will open in time to start serving the bakery's popular Rosca de Reyes, the traditional Mexican dish for King's Day. The delicately sweetened ring is decorated with strips of candied cactus and contains two or three plastic plastic dolls of the baby Jesus. (La Monarca begins selling them by the slice in mid-December and offers them whole from Dec. 26 until a few days after King's Day, Jan. 6). Tradition has it that whoever finds one of these prizes in their slice, has to thrown next year's party. La Monarca should definitely be open by then.